If you need to move across state lines, choosing a qualified interstate moving company with decades of experience successfully moving families from state to state is a must! Rely on Irvington Transfer & Storage (ITS) Global Relocation Services, agent of Bekins Van Lines, to provide you with a streamlined, stress-free interstate relocation. ITS Global has been in business since 1926, providing high-quality interstate moving solutions. With dedication to quality as a Portland interstate moving company, we have become a BBB-accredited business and a ProMover member of the American Moving & Storage Association (AMSA) – and we continue the tradition of superior service with every interstate move. ITS Global’s alliance with Bekins allows our interstate movers Portland to complete any long distance move, regardless of size and requirements. 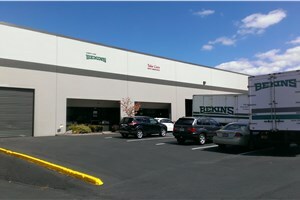 We have access to support through Bekins in locations across the United States. Our professionals are screened and highly trained, and have access to the most advanced equipment to successfully crate, load, and ship even high-value household items such as electronics and pianos. Read on to learn more about our unbeatable interstate moving services Portland. Don’t delay any longer – contact our experts today to begin your simplest move ever. Call ITS Global Relocation Services to speak with a moving specialist, or fill out our online quote form to receive a free estimate!